Today I am sharing with you ten must read historical fiction books set in the ol' US of A in honor of July 4th! This post is part of Top Ten Tuesday, which is hosted by The Artsy Reader Girl. Historical fiction is one of my favorite genre's to read, so I happily adapted this week's theme of red, white, and blue. The books in this list are a mix between books I have read and love and books that I haven't read yet but can't wait to pick up! It is no coincidence that "Lincoln in the Bardo" is at the top of my list for fiction novels about U.S. History. I love everything about this book, and the "reading experience" I had during its 300 pages. Not only does this book explore a fascinating fictional story, George Saunders also cleverly weaves non fiction elements into "Lincoln in the Bardo" by including numerous quotes from newspapers and individuals of that time. I was really struck when reading this book by how much has changed, but also how much has stayed the same. Medically, things are heartrendingly different - Willie Lincoln likely died of typhoid fever, an illness that could easily have been treated by rehydration methods that most Americans have access to in 2018. However, the way that the media of the time blamed Willie's death on Mr. and Mrs. Lincoln and analyzed publicly their every move - that still feels incredibly familiar. There is so much to take away from "Lincoln in the Bardo" and you've just have to read it! 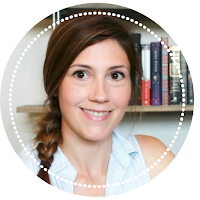 Check out a 60 second book review I created for "Lincoln in the Bardo" below! "The Kitchen House" is such a sweeping, engaging, and easy to read historical fiction novel, I think I binge reader this in a day or two. The story follows a young, white girl, Lavinia, who is orphaned on her family's voyage to America. Lavinia is taken under the wing of the captain, brought to his family home, but then passed over to the black slaves working on his plantation. The tension this causes on the plantation as Lavinia grows into a young woman who questions the plantation structure and her own role on it, is a large portion of the plot, but there are also many incredibly interesting sub plots as well. I really enjoyed it and my reading experience with this book started out incredibly strong and was teetering between a four and a five star read until the last fifty or so pages. In the last fifty pages, the author included a story line that I strongly dislike, but I doubt would bother most readers. I don't want to comment further because I'd hate to ruin any of the twists! I included this book in the list, even though I gave it three stars because my reason for disliking the book feels fairly personal, and overall the readers who I trust have given this book higher ratings. 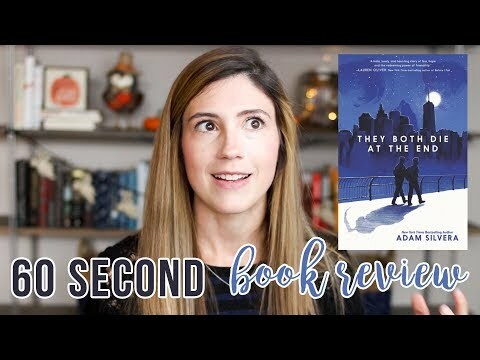 Check out a 60 second book review I created for "The Kitchen House" below! "Lilli De Jong" was a nominee for the Goodreads Historical Fiction award in 2017 and after finishing it, I definitely understand why this book was ranked as one of the best of the year. The story follows main character Lilli, a young Quaker woman in 1883, who finds herself pregnant and abandoned. Lilli is forced to give birth in a community for women in similar circumstances and then fights for the right to keep her daughter. One of the things I most love in a historical fiction books is their ability to shine a light on events in history, and popular attitudes of that time, that are not often mentioned in your average social studies classroom. While I knew that historically, women without husbands who became pregnant had few options, I had no idea the extent to which society would refuse them any assistance or the meager employment opportunities available, nor was I aware of the large number of children left to suffer as a result of these prejudices. Check out a 60 second book review I created for "Lilli de Jong" below! There are two other historical fiction books that I have read fairly recently and enjoyed a lot, but not recently enough to be able to say much more than that because well, I've read a lot of books since and my brain can only hold so many other people's lives- but I do know I gave each of these books four or five stars and really enjoyed and would recommend them - book life problems, right? Anyway, "Brooklyn" by Colm Toibin and "A Tree Grows in Brooklyn" by Betty Smith are both REALLY great. Yes, they are both set in Brooklyn, and both have female main characters, AND both have these amazing glow up stories in them. Highly recommend. One of the most frustrating, exciting, and humbling parts of being part of the book community - wanting to read ALL OF THE BOOKS. There are so many awesome historical fiction novels that I haven't read yet, and many of them have American roots. Here is a quick run down of five that come to mind! Last year, I read "Setting Free the Kites" by Alex George and gave it all of the stars, it was one of my favorite reads in 2017 and it is great! There isn't much "history" in it though it is set in the 1980s, so I didn't include it in this list of suggestions. I've seen mixed review of "A Good American" on Goodreads, but after such a positive reading experience with this author and his writing style, I can not fight the desire to read another book by him, even though it might not measure up to the first. I have heard SO MANY GOOD THINGS about this book. It is just one of those titles that I have every intention of reading but just haven't gotten a chance to pick up yet. The number of awards this book has one is very impressive also. The story sounds incredibly compelling - I love historical fiction that really informs and weaves an incredible story at the same time. I have no idea why I haven't read this yet, but I'm going to and you should, too! Another incredibly popular book that I haven't picked up yet, but really want to! This has been such a hit the last year, and right now is in the top 20 most read according to Amazon Charts. Reading through the synopsis, I was shocked that this novel is based on a true story : a woman who worked in a children's shelter, kidnapping and selling children to wealthy families. Obviously this book is a crowd pleaser, and it has received numerous rave reviews on Amazon. "The Cider House Rules" is a book that I've been vaguely aware of for a while, likely because of the film adaptation which came out in 1999. It was way before my time as a reader of adult fiction, but looking through my TBR for American History based historical fiction, this one definitely caught my eye and it's an older classic that I'd like to circle back to. The novel follows Homer Wells, an orphan raised by an obstetrician who runs an orphanage. Homer has become the doctor's protege and works with him assisting troubled mothers, either by taking their children or providing abortion services there. Because this book is so well reviewed I 'm really curious to see how the topics in the books are handled. I picked up "The Lacuna" at a used bookstore while reading another book by Barbara Kingsolver - isn't that one of the signs of a great book, immediately wanting to pick up another book by the same author? So great. I like the idea of reading "The Lacuna" because it is so outside of my usual historical fiction reading, as I don't think I've read another book set in part in Mexico during World War II. Typically my World War II reading it set in a large American city, so the change from the norm is welcome, particularly in a time period that is so heavy with historical fiction like the 1930s and 1940s. Let me know below your favorite historical fiction novel set in America! Have you read any of the books on my list? Are any of them on your TBR list as well? Thanks for stopping by my blog and happy reading! I read a lot of historical fiction, but not a ton set in the United States, so thank you for this list! The Kitchen House was a fantastic book. Me either! Making this list I realized that because I gravitate towards WWII fiction, most of my historical fiction is based in Europe. The Kitchen House was awesome, were it not for a small element in the ending I think it would've been a five star read for me. 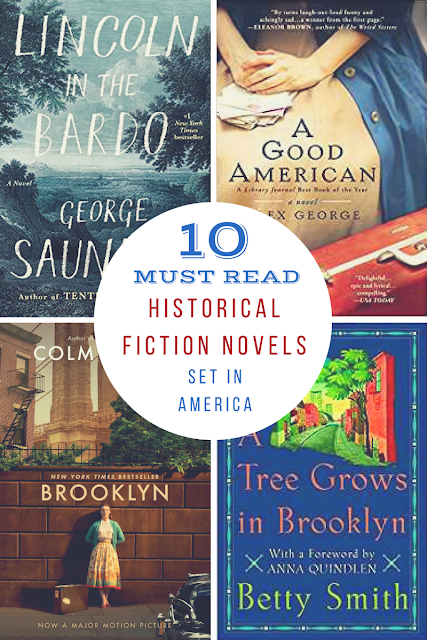 I haven't read historical fiction much lately, so it's nice to see this list and get some ideas. I used to read a lot more but I've been reading more YA and science fiction lately I guess. I never saw The Cider House Rules movie and kinda wondered what it was about. Same here about the Cider House Rules movie. I was a little young when it came out to watch "adult" movies, but I remember the trailer and remain intrigued! I love historical fiction, so this post is perfect. Lincoln in the Bardo and Homegoing are on my TBR list. I haven’t heard of the others.